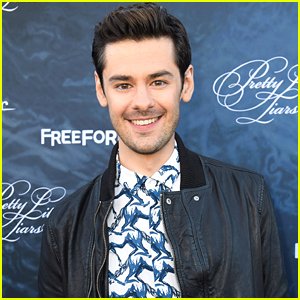 Brendan Robinson Photos, News, and Videos | Just Jared Jr.
We all have our theories about just who the illusive A.D. is on Pretty Little Liars is — however, star Brendan Robinson was thrown off completely when he found out. “When I found out who it was, I hadn’t read the script yet, because it was a couple weeks in advance and it didn’t make total sense to me at first,” he shared with ET this week. PLL fans, do you know who A.D. is? Tell us! 'Switched at Birth' & 'Pretty Little Liars' Stars Interview 'Doctor Strange' Cast at Hollywood Premiere! 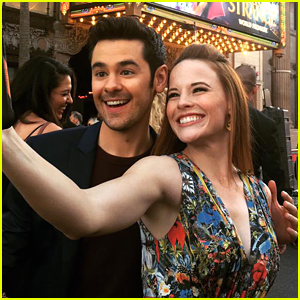 Katie Leclerc snaps a pic with Brendan Robinson on the press line during the premiere of Doctor Strange held at the El Capitan Theatre on Thursday night (October 20) in Hollywood. Katie also ran into her on-screen brother Lucas Grabeel at the premiere! If you missed it, it was just announced that the final season of Switched at Birth would premiere on January 31, 2017. #DoctorStrangePremiere got @katieleclerc & @brendanrobinson like… ???? Lucy Hale shows off some serious shoulder as she arrives for the Pretty Little Liars Season 7 Premiere Event held at Hollywood Forever Cemetery on Wednesday night (June 15) in Hollywood. The 27-year-old actress joined her co-stars Troian Bellisario, Sasha Pieterse, Keegan Allen, Tammin Sursok, Tyler Blackburn, Andrea Parker, Dre Davis and Brendan Robinson as well as showrunner I. Marlene King and producer Charles Craig. During the event, the cast participated in a Q&A session with fans and Keegan and Tyler both had twenty seconds to debate about Spoby versus Spaleb. Watch below! FYI: Troian wore Aldo shoes. Lucy is wearing Zo� Chicco jewelry. Greer Grammer Becomes Summer Roberts for 'The Unauthorized O.C. Musical' in L.A.! Greer Grammer sports a new hair color while arriving at the Unauthorized O.C. Musical One Night Only Event presented by Original Penguin at The Montalban on Saturday evening (August 30) in Hollywood. 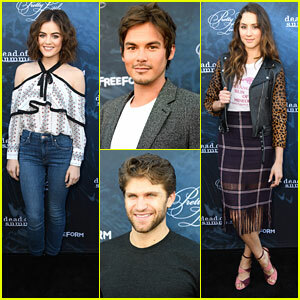 The 23-year-old actress was joined by her co-stars Drew Seeley and Brendan Robinson, as well as Pretty Little Liars star Janel Parrish who checked out the show. Greer played Summer Roberts (originally played by Rachel Bilson), Brendan played Seth Cohen (originally played by Adam Brody), and Drew played Luke Ward (originally played Chris Carmack). “Thanks to everyone who came out to see @OCMusical tonight!!! I hope you enjoyed it and that we did you proud!!! #ocmusical #summerroberts,” Greer tweeted. 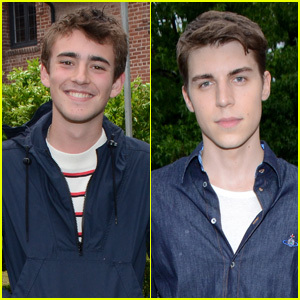 Charlie Rowe and Nolan Gerard Funk stop to pose while hanging out inside the 2015 Just Jared Summer Bash presented by SweeTARTS Chewy Sours on Saturday (July 18) at a private residence in Los Angeles. The guys were joined at the party by The Following‘s Carter Jenkins, Struck by Lightning‘s Roberto Aguire, Power Rangers Megaforce star Andrew Gray, Pretty Little Liars actor Brendan Robinson, Tut‘s Peter Gadiot, and actor Cameron Fuller. Also in attendance were Parenthood‘s Miles Hezier and 24: Live Another Day‘s Giles Matthey, as well as Men, Women, and Children stars Will Peltz, Timothee Chalamet, and Travis Tope. Partygoers mingled under the cabana and didn’t let the rain ruin their good time! In fact, Andrew jumped into the pool for a rainy dip!